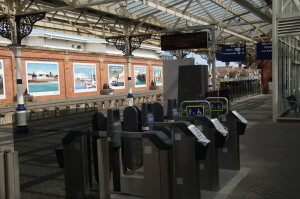 Northern have installed new ticket gates and barriers at Hartlepool station. These will be brought into use from Friday 1st September. From that date you will need to have bought a ticket before accessing the platform if you are intending travelling on a Northern train. Tickets can be obtained from the booking office, the ticket machine or from Northern gateline staff who will be manning the barriers. 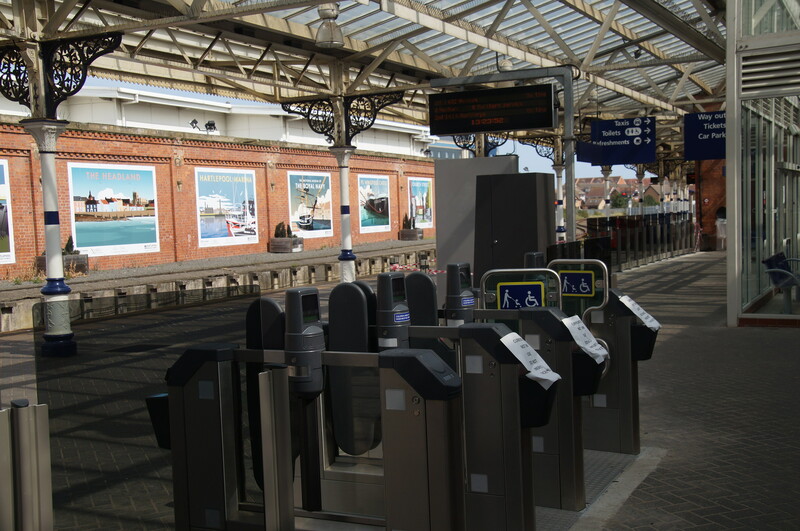 For Grand Central customers it will still be possible to buy tickets on the train, however you will need to have your ticket handy on arrival in Hartlepool in order to exit the station whenever the gates are in use. Grand Central 108114 is back in service having had European Train Control System installed. This was the prototype installation for the Class 180’s ready for when Network Rail commission in cab signalling on the southern part of the East Coast Main Line sometime in the next decade. 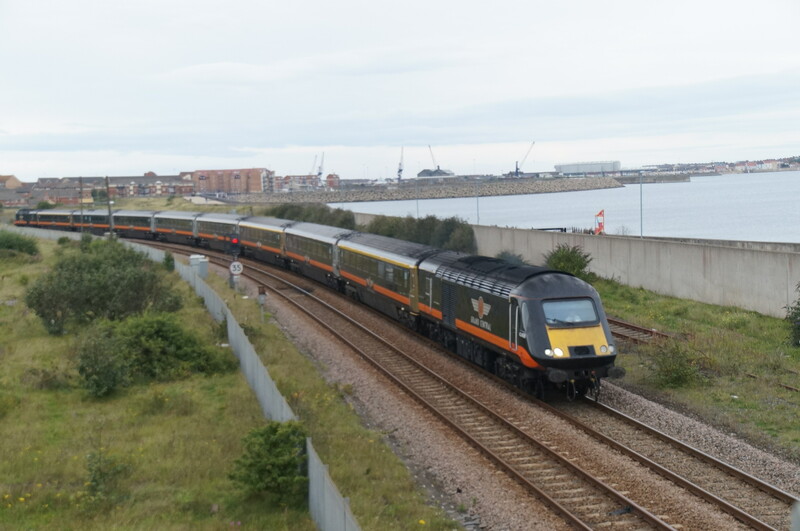 However its return has not been without electrical problems resulting from the enhancement work which have contributed to recent availability problems. Meanwhile 108108, the set that was acquired from First Great Western and ran for a while in blue livery, has gone to Arriva Train Care for a complete refurbishment – toilets, roof panels, seats, carpets – in fact everything. The remaining four 108s to come from FGW are expected to arrive in January to replace the three HSTs which go off lease on 31st December. Meanwhile with the power cars for one HST being on extended maintenance, the opportunity has been taken to use four standard class coaches from that set to increase the length of the other two to eight coaches to cope with the expected demand over the August Bank Holiday weekend. 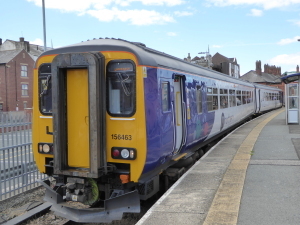 Northerrn now have three refurbished 156 Sprinters operating from Heaton in place of three 142 Pacers. Look out for them on the Coastline. Secretary of State for Transport, Chris Grayling, has given the go-ahead for a new Park & Ride station for Horden/Peterlee. 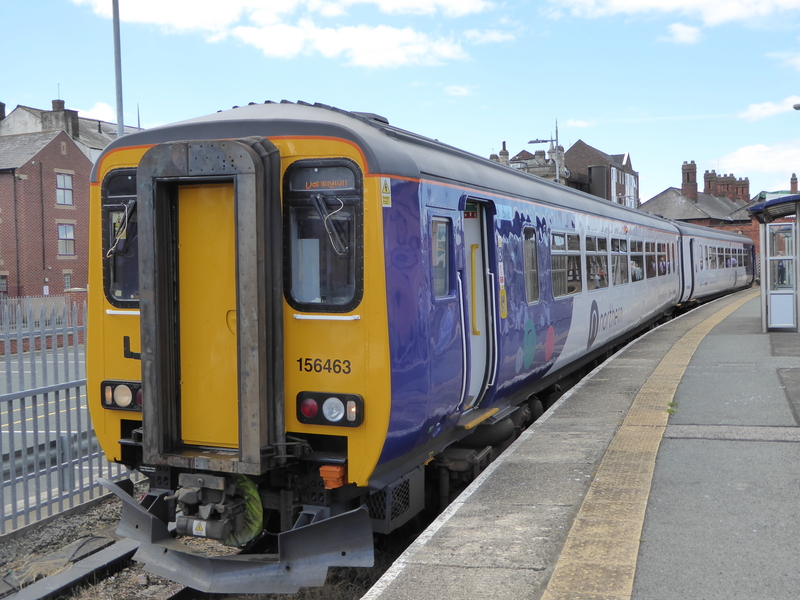 Costing an estimated £10.55m, £4.5 m is to come from the DfT New Stations Fund, with the rest from Durham County Council and the North East Combined Authority. It is expected that the new station will open in 2020 and be served by Northern’s coast line trains and possibly Grand Central’s Sunderland-Kings Cross service. Coastliners has been lobbying for this station for many years, as has Durham County Council.